If you drive a manual vehicle for long enough, here in Englewood or across Denver, you will eventually run into problems with your clutch. That’s why it’s so important to know the top signs you have a clutch problem. Key Transmission and Gears presents this helpful list because we know that there is no good guideline, mileage or time passed, to determine when your clutch might go out and need to be replaced. When it comes to your clutch, the type of driving that you do and the type of driver you are will have the biggest impact on performance. For example, the more you ride the clutch, the faster it wears out. What you can do is pay attention for the top signs you have a clutch problem. An overheating clutch plate will give off a smell akin to burning rubber. You might even notice a bit of smoke coming out from under your vehicle. Don’t think that just because you don’t see smoke that something isn’t wrong. The burning smell may be unaccompanied by smoke and is still an indication of something being wrong. This is usually created by riding the clutch and is an indicator that you need to have your clutch checked immediately. You might notice that the car starts to shake a lot when shifting, or it becomes increasingly difficult to engage a new gear. This effect usually shows up first in either reverse or first gear so pay particular attention when shifting into those two gears. This will show up most often when the car is working hard, such as when going uphill or accelerating. The car starts to be jerky and may even slip completely out of gear. You need to have your clutch checked, as at the very least it needs, to be repaired and possibly even completely replaced. If you are one of those people who know what you are doing, you can get under your vehicle and do some detective work. There is usually an inspection cover on the bottom of the bell housing that you can remove in order to see the clutch itself. If you see a fine black dust all over the clutch, don’t worry about that, it is normal. However, if you can see marks and damage on the clutch, then you know that repairs are in order. Of course, you don’t have to be an expert mechanic to ensure that your car is in good working condition. 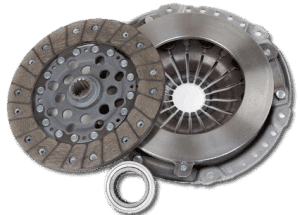 These top signs you have a clutch problem are just to help you know when to take your car to a qualified mechanic, like the ones we have here at Key Transmission and Gears. Our trained technicians are excellent at inspecting your vehicle and determining whether you have potential problems popping up. Give us a call today if you think you might need some repairs or even just to put your mind at ease. Why take your vehicle to any other auto shop when you are in need of transmission rebuild service? Key Transmission and Gears is a family owned and operated mechanical transmission repair business that specializes in transmission repair and service provided by ASE certified auto technicians. When in need of services that fall within the constraints of transmission rebuilding, let our ASE certified auto technicians be the first to take a look at your vehicle. We offer a wide range of services on cars, trucks, and SUV’s; foreign and domestic of all makes and models. It doesn’t matter if your vehicle is manual or automatic, 2 or 4 wheel drive; we can identify possible transmission problems to help rebuild your transmission at affordable customer costs. Some possible transmission problems that commonly occur are: worn or damaged parts within the transmission that may require an internal transmission repair, external controls within the transmission that may need replacement or adjustment, electrical controls or components that may need replacement or adjustment, or even problems with transmission fluids that may be too low or have insufficient pressure to keep your vehicle running properly. If your vehicle requires any sort of transmission rebuild service, you can leave a message by visiting our website or reach an ASE certified auto technician at Key Transmission and Gears as soon as possible. Also, make sure to look up or ask about the warranties that we offer so you feel assured that your transmission will continue to run smoothly. What Does a Transmission Do, Anyway? At Key Transmission and Gears, our business is transmissions. But you might be wondering what does a transmission do, anyway? You may not want to become a car engine expert, and that’s okay, but it is a good idea to have a little bit of an idea of how things work in your own vehicle. That way you are more likely to notice when something is not quite right and know when to take it to a professional before a small problem gets out of hand and becomes a massive repair. The transmission has a vital function in your car’s engine. So, when your transmission stops working, your car stops moving – period. All the parts of the engine cooperate to create a great force, but that force is variable and uncontrolled. If the engine were connected directly to the wheels, the wheels would not turn at a constant speed and your ride would get a little crazy. Also, the power produced by the engine is too high for the wheels. An engine generally produces a rotational speed of 600-7000 RPM while wheels typically operate somewhere between 0-1800 RPM. That’s a pretty big difference, and obviously, your wheels simply cannot keep up with the engine in that way. Notice that the engine speed doesn’t go down to zero? That means you wouldn’t be able to ever stop fully. Not a good thing. The transmission is the magical device that brings that speed down and regulates it appropriately. Well, maybe it’s more scientific than magical, but you get the idea. In order to perform this function, the transmission uses a series of gear ratios and components like the differential. Gears are little wheels of varying sizes with grooves, or teeth, around the edges. The ratio comes into play when these gears are fitted together. Imagine a wheel with 40 teeth around the edge, now imagine a smaller one with only 20 teeth. Now fit these two together and imagine that the smaller one is connected to the drive shaft. It will rotate twice for every one rotation of the big wheel. See what happened there? The speed gets cut in half. In this case, the ratio would be written as 0.5:1. This depicts how many times the output gear rotates in relation to the input gear. Now, inside the transmission, there are quite a few different little wheels with different gear ratios. Depending on the speed that the vehicle is traveling, different ratios are required. If you’ve ever driven a manual, you’ll understand this a little better as you have to shift the gears yourself. With an automatic transmission, your vehicle still makes those shifts – you’re just less likely to notice. That’s about it! The answer to what does a transmission do, anyway, turns out, isn’t that complicated. Although if you were to peek inside your transmission, it looks quite complex. That’s why trusted professionals like our staff at Key Transmission and Gears are so essential for the proper maintenance and repair of your vehicle’s transmission. Give us a call today and we will be happy to answer any questions that you may have and offer our expert advice.